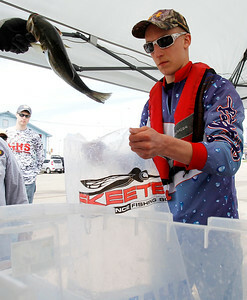 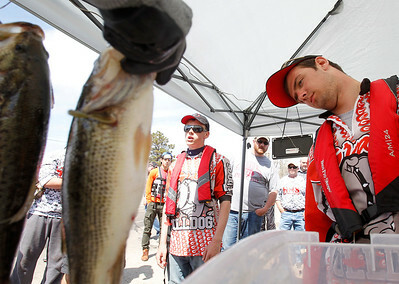 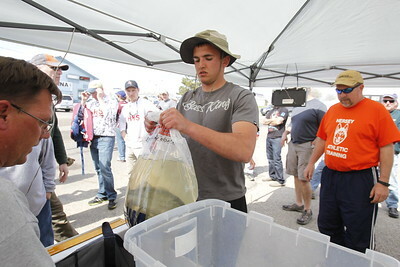 Matthew Apgar - mapgar@shawmedia.com Teams compete during the 2015 IHSA Bass Fishing sectionals competition on Friday, May 01, 2015 at Ben Watts Marina in Fox Lake. 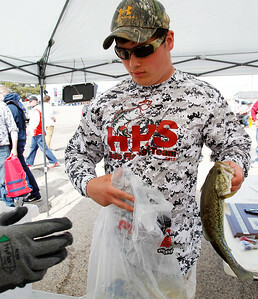 Matthew Apgar - mapgar@shawmedia.com Bryan Thommes of Lakes Community High School registers his catch during the 2015 IHSA Bass Fishing sectionals competition on Friday, May 01, 2015 at Ben Watts Marina in Fox Lake. 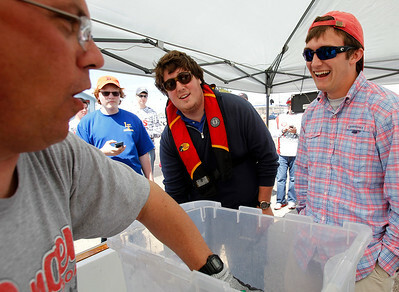 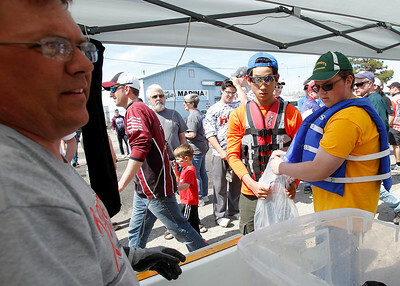 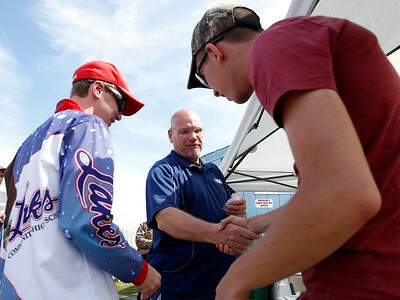 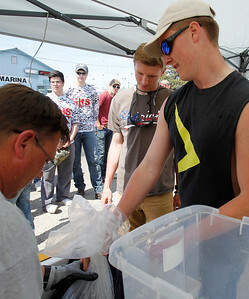 Matthew Apgar - mapgar@shawmedia.com Greg Rubo, center, and John Ott of Lakes Community High School weigh in their catches during the 2015 IHSA Bass Fishing sectionals competition on Friday, May 01, 2015 at Ben Watts Marina in Fox Lake. 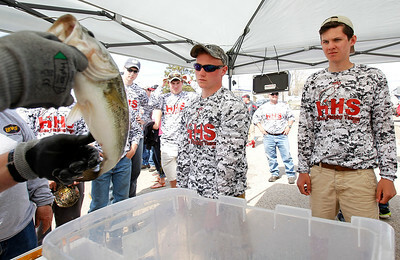 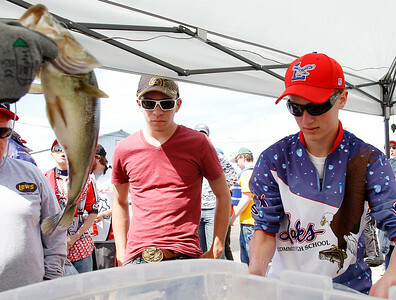 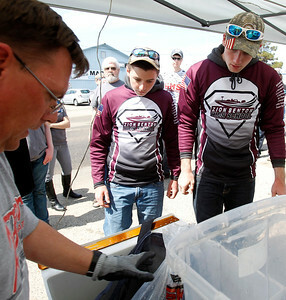 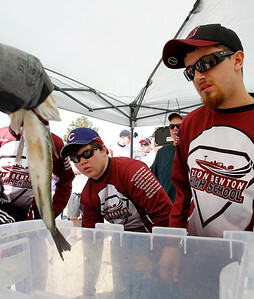 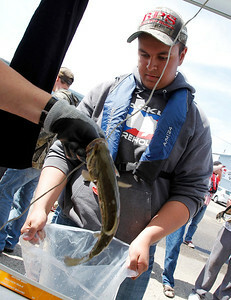 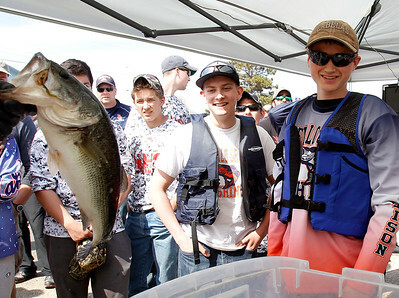 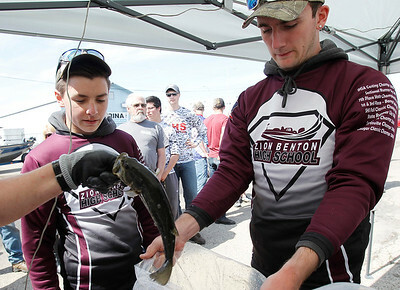 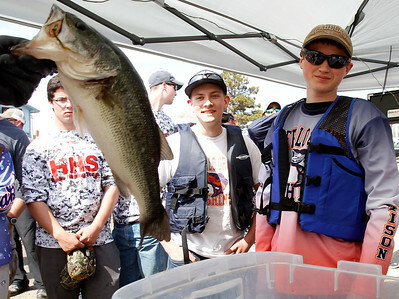 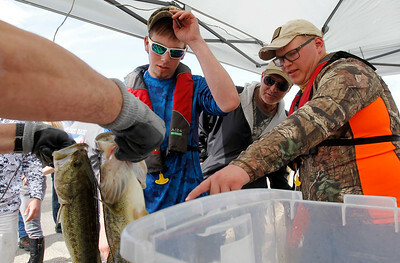 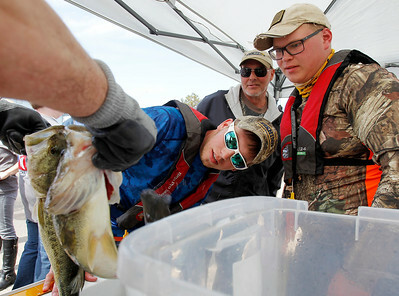 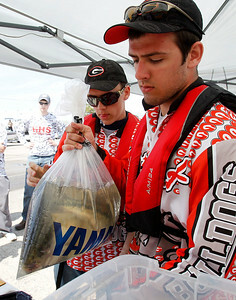 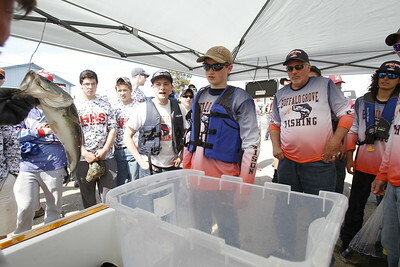 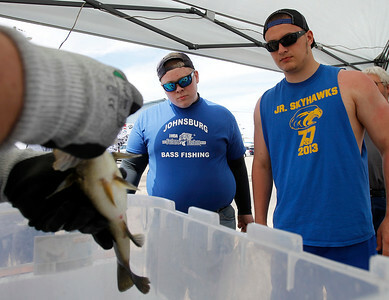 Matthew Apgar - mapgar@shawmedia.com Ethan Heinz, center, and Jake Beskow of Grant Community High School weigh in their fish during the 2015 IHSA Bass Fishing sectionals competition on Friday, May 01, 2015 at Ben Watts Marina in Fox Lake. 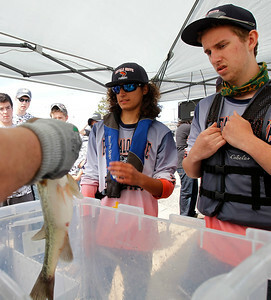 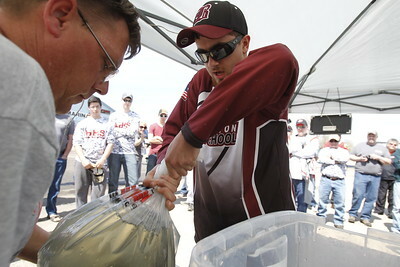 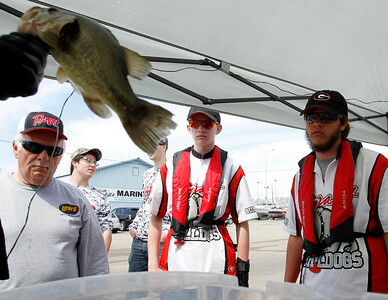 Teams compete during the 2015 IHSA Bass Fishing sectionals competition on Friday, May 01, 2015 at Ben Watts Marina in Fox Lake.